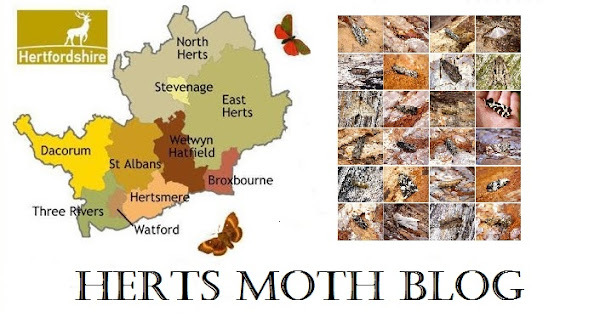 Another month and another huge catch with most of the regular Moths, it seems to be back to quantity not quality at the moment with some Moths numbering in the 30+ per species mark, Setaceous Hebrew Character being the most common with 59 examples, followed by Lesser Broad-bordered Yellow Underwing at 39, Square-spot Rustic at 32 and Lesser Yellow Underwing at 20. Thankfully I never get overwhelmed with Large Yellow Underwing in my Garden with just 12 turning up last night. No new species and but one new for year and it was nice seeing two Old Lady's flying in as I did my last check before bed....I was hoping one might have been a Red Underwing.....but it was not to be! Yet another outstanding collection,fantastic moths.